Blues keeper Jack Norton gets down to keep out a Billingham Town effort during Whitbys 1-1 draw on Saturday in their first pre-season clash. Picture by Brian Murfield. Whitby Town have failed to register a win in their opening two pre-season matches, though have shown promising signs in both games. The Blues kicked off their pre-season campaign at Bedford Terrace against Northern League Second Division side Billingham Town, with Chris Hardy casting his eye over a number of trialists amongst his first teamers. But despite having barely touched a ball in pre-season, the Seasiders looked bright and opened the scoring in their first friendly encounter. Connor Dunlavey’s left-wing cross found Whitby’s trialist, who finished low under Billingham’s keeper. Greg Rutherford almost doubled the lead minutes later, sending a bullet header from Weledji’s cross onto the upright. However, just ahead of the break the hosts were level. Matthew Robinson’s 20-yard shot deflected off Jassem Sukar and wrongfooted Dan Dixon. As trialists were introduced, the pace of the game slowed down and the Bedford Terrace side looked the more likely to gain an advantage. Dixon was forced into a string of smart saves by Craig Hutchinson, one pulled out from the top corner from a 30-yard driven attempt, keeping Whitby on par with their hosts. Late on the Seasiders almost sealed a win, a free-kick from deep finding the head of Alex White, though he couldn’t guide it past the goalkeeper. The Blues then travelled up to the King George V Stadium to contest the Mickey Skinner Trophy with Guisborough Town on Wednesday evening. And the Blues were lively from the start. Junior Mondal was creating the most of the problems for the Priorymen, firstly pulling back to a trialist, who saw his attempt parried expertly onto the post, before he then released Rutherford who found the net, though the offside flag was up. The big striker wasn’t to be denied a second time, however, and registered his first goal with just over 25 minutes on the clock. 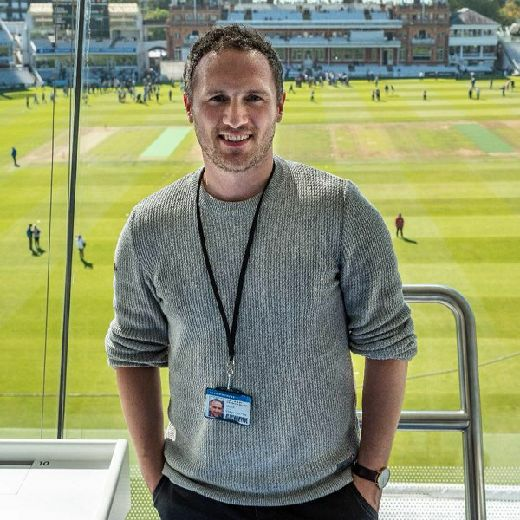 The ball bounced between two Guisborough defenders and found Rutherford, who poked into the roof of the net from six yards. Despite a strong first-half from the Seasiders, Guisborough looked more confident early in the second half, and were level from the spot shortly after the break. Mark Robinson converted after a foul by wing-back Dan McWilliams in the penalty area. It wasn’t long before the home advantage was restored, though. McWilliams’ floated corner found Blues stalwart Lee Bullock, who headed across goal at the near post. Substitute goalkeeper Dixon was called into action as the hosts grew into the game, tipping over Ashley Lavan’s 30-yard effort. But Lavan soon found himself on the scoresheet, shooting from range and seeing his attempt, much like Billingham Town’s leveller, deflect off a Whitby defender and find the net. And just moments later the match was turned on its head. Matthew Crust headed a corner back across the Blues’ goal, finding Matthew Lovett in space, who directed the ball home from close range to ensure the Mickey Skinner Trophy returned to Guisborough Town. 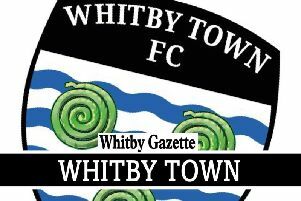 MORE WHITBY TOWN NEWS IN THIS WEEK'S GAZETTE - OUT ON FRIDAY!